Great Northern Tours is a privately owned, four wheel drive tour business who specialise in extended birdwatching tours, as well as scenic, cultural and private charter adventures. Their base is located in Cooktown, Far North Queensland, with great access to the Cairns region, Atherton Tableland, Cooktown, Cape York Peninsula and the Gulf of Carpentaria. Operating with a maximum of 'four passengers only' policy, thus ensuring that traveling with Great Northern Tours is both relaxing and memorable. If you are wishing to increase your Australian bird list, love photography or simply wanting to enjoy a professionally guided tour into some of Far North Queensland's more remote wilderness areas, then please contact your 'Local' guide David Mead. For exceptional private 'Birdwatching' adventures, Great Northern Tours are not only a flexible operation, they also encourage discussion on what would be a more suitable touring option to meet your travel time frames, target species or desired photo opportunities. They offer a variety of birdwatching tours, from half day to multi-day, fully accommodated packages. Cape York birding tour is an nine day, fully accommodated birdwatching adventure. From the tropical rainforests of the east coast, to the vivid red landscapes of Weipa on the west coast of Cape York. Visiting some of Australia's most iconic birding destinations, including Iron Range (Kutini Payamu) and Lakefield (Rinyirru) National Parks. Great Northern Tours personal guide, David Mead, will help you locate some very special bird species, including the endangered Golden-shouldered Parrot, Palm Cockatoo, Eclectus Parrot, Fawn-breasted Bowerbird, Yellow-billed Kingfisher, Northern Scrub-robin, Yellow-legged Flycatcher, Frill-necked Monarch, Red-cheeked Parrot and the endemic White-streaked Honeyeater, to name a few. You will travel in a very comfortable, air-conditioned four wheel drive, (four passengers only), from Cairns to Weipa, with all accommodation and meals supplied, including a return flight back to Cairns. When it comes to birding in the far north, Cooktown is a unique geographical base, due to its access to an incredible array of eco-systems, including wet tropics rainforest, mangrove-lined estuaries, open savanna, sclerophyll and riverine forests and stunning escarpment country. You may wish to enjoy a casual tour of Cooktown's beautiful scenery, looking through the binoculars and taking in some new birds, or you could be a very keen birder chasing some of the rarer species, specific to the area; like the Silver-crowned Friarbird, White-streaked Honeyeater, Lovely Fairy-wren, Tropical Scrubwren, Northern Fantail, White-browed Robin, or the seasonal visiting Black-winged Monarch and Buff-breasted Kingfisher (Nov-March). Either way your local birdwatching guide David, will make this half-day adventure tour a rewarding experience. Great Northern Tours have designed this exciting, birding tour, to take in not only a splendid mixture of rainforest and dry country birding, but also allow visitors to enjoy some of the fascinating history and culture of Southern Cape York. The itinerary structure will have you spellbound from start to finish, a real taste of the Far North's colourful pioneering past, culture and not to mention some incredibly diverse birding opportunities. On this three day circuit tour, they depart and return to Cooktown travelling through some very contrasting landscapes from the coastal splendour of Cooktown to the open savanna of Cape York. Day one, you'll head north through Endeavour Valley, Battlecamp Range and the iconic Lakefield (Rinyirru) National Park, an extroadinary conservation area containing a myriad of waterways, billabongs and open savanna. You will stay overnight at the historical Musgrave Telegraph Station (your base for two nights). On day two you will explore a local cattle station for the endangered Golden-shouldered Parrot, one of only two Cape York's endemics. The afternoon takes you on to some open grasslands and mangrove tidal systems, for more examples of how richly diverse the birding in this region is. Day three, you'll head south down the Peninsula Development road, to take a few more breaks at interesting birding locations, not to mention some fascinating escarpment country. Arriving back in Cooktown in the late afternoon. This is great opportunity to chase some very special birds in a remote and beautiful part of Queensland's arid interior. From the very beginning of this adventure, you will be enthralled, not only by the stunning landscapes of the 'Outback' but also its impressive birding highlights. Travelling with a small group in a luxury four wheel drive, whilst overnighting in quality accommodation, certainly is a rewarding and memorable way to bird this wonderful region. This tour departs from and returns to Cooktown and takes in two iconic national parks, both world-renowned birding hotspots, add in some hidden waterholes on a Cape York working cattle station and you have an incredible mix of Australian landscapes. You will be visiting some great sites in Lakefield, as you travel right through the park from south to north. You will be targeting Star, Black-throat and Masked Finch, Banded, Rufous-throated, Bar-breasted and Rufous-banded Honeyeaters as well as a huge range of raptors and waterbirds, plus the prospect of finding the very rare Red Goshawk at their seasonal nesting site. The Cape York endemic Golden-shouldered Parrot will certainly be on the agenda, as you bird some great dry country areas and a local cattle station. Stage two of this Cape York tour you will be visiting Iron Range (Kutini-Payamu) National Park, simply one of Australia’s best birdwatching experiences. The park contains the largest remaining lowland rainforest in Australia and is a refuge and stronghold for some very special birds, which can also be found in New Guinea. North Queensland covers a large expanse of ever-changing landscapes. This fully accommodated, 10 day birdwatching tour is designed to showcase not only this remote and beautiful region, but its outstanding variety of avifauna. A great mixture of birding hotspots are combined in an itinerary that had over 200 bird species sited on their 2016 and 2017 trips. Including target species like the Golden Bowerbird, Victoria's Riflebird, White-breasted Whistler, Painted, Long-tail, Black-throat and Pictorella Finch, Purple-crowned Fairywren, Cloncurry Ringneck and the Kalkadoon Grasswren, not to mention in excess of 20 Honeyeater species and a long list of waders and waterbirds. Great Northern Tours are excited about offering this (one-off for 2018) adventure, traveling in a luxury four wheel drive, staying in quality accommodation, with great food. 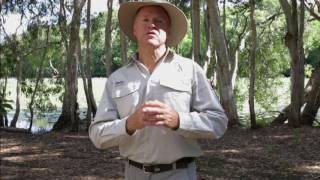 Your experienced North Queensland guide David Mead, will ensure your journey is conducted in a relaxed and flexible manner. Visiting many iconic birding sites, including the Atherton Tablelands, Georgetown, Karumba, Burketown, and some very exciting birding in the Mt Isa region. From the fabulous 'World Heritage Listed' wet tropics, to the spinifex-clad hills of the outback, they believe this well structured itinerary is one of the best birdwatching adventures offered in North Queensland.